I recently received for review a copy of Art Lab for Kids, Susan Schwake's new book which is a treasure trove of creative art making projects for kids from drawing, painting, printmaking, paper and mixed media. Although focused on children's projects the book could easily be translated for any budding artist despite the age. In fact I may be looking into trying a few of these projects myself. 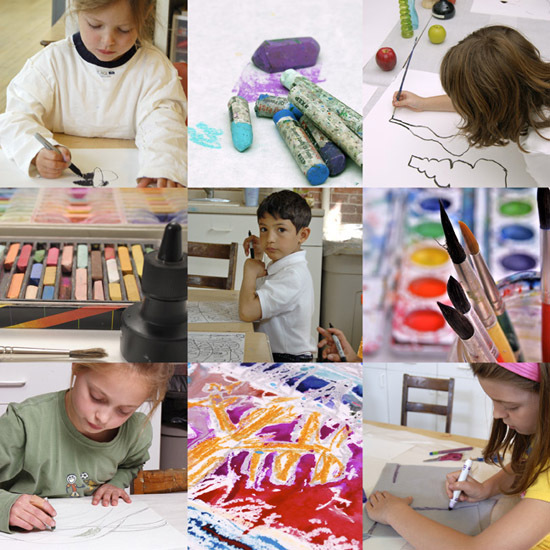 In Art Lab for Kids each lesson is inspired by 36 contemporary artists who are also featured in this book from Lisa Solomon to Mati Rose McDonough, Amy Rice to Heather Smith Jones. The inspiration list is impressive and well-thought out. Photographed by her husband Rainer Schwake, the book is a collection of lessons Susan has used over the past twenty years of teaching. From projects started at her kitchen table with her daughter Grace, when she was three, to when she opened up her first little art school in a rented space at a local church. Years have passed and the classes expanded and Susan moved into a larger studio where it has grown into a full gallery/studio/school and online shop, artstream. 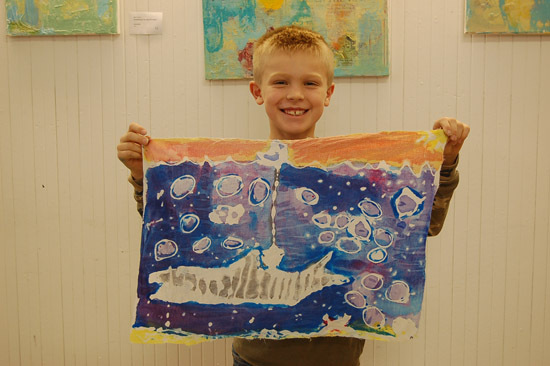 Art Lab for Kids is a fun and easy to use book offering up amazing projects for all ages. Available through amazon.com . what a great find! i think this looks like a must-have! Woohoo! Big cheers for Susan! Since I have Susan's book Art Lab for Kids, in my possession I can say that yes, it is a must have. It covers a broad range of media that are applicable to multi-ages of children, young adults, and are inspiring to adults. The projects are written in her voice and are clear, easy to understand. Plus the photography is beautiful. Art Lab for Kids is a fantastic book! that's ao cute! because i still know how much i loved it to paint/create as a child and how i still do!! it's soooo important for kids to be creative and to express themself!! This should not just be for children's eyes... Susan's book has great ideas for all! 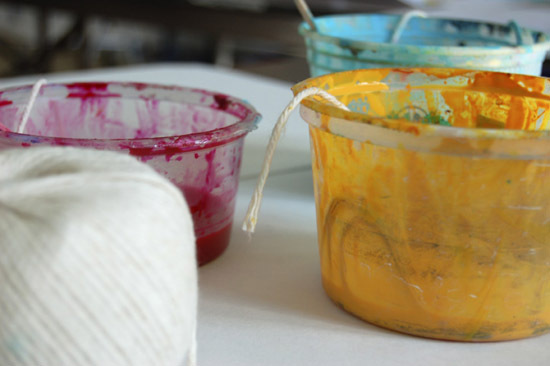 As a textile designer myself(www.walter-g.com.au), I am always trying to find ways of getting back to basics and finding new inspirations, and crayons is a lovely place to start.... After all, "Life is about using the whole box of crayons"! The book is really inspiring. It is not just the children enjoy working on all the projects in the book, so do the parents! As a grannie and also a 'helper' at the local primary school, I can see that this book is just what I need! This is such an inspiring book! 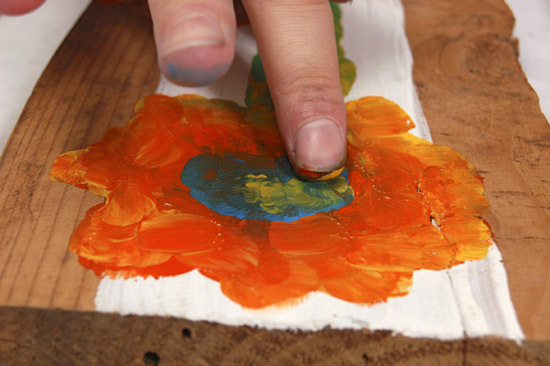 I used to teach art to children and would have loved to have such a fabulous resource! Wonderful work. I dream about this book!!! Looks like an awesome book, perfect for the summer to keep the kiddos busy! My fingers are crossed to win! Forget the kids, I'd love to try out these myself! ooooh, my daughter would love this book, she's really into art, an learning about artists, we just did some googling to learn who andy warhol is, and she's only three! Dying to get my hands on this! I'm planning on using it for summer projects with our art-crazy 7 year old. This would be the perfect birthday gift for my soon to be five year old boy who spends much of his time creating art. I was looking already for a book like that. Not only for my kids (5, 8 & 10 years) but also for me (schoolteacher). My six year old artist will love this! Looks like a great book for kids AND their parents... I want one!! Wow! what a great book to have to keep the whole family busy. I think I would enjoy this as much as my 5 year old! Looks like a great book. My kids are always interested in learning about art and using a variety of materials.